My picks are in red: "87 wins. WC. ... Then they get hot for 3 weeks." If your entry is missing or has a typo, re-send your original email to me. 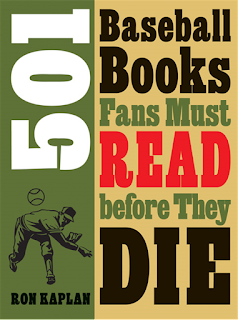 Right now, the prize is a copy of Ron Kaplan's "501 Baseball Books Fans Must Read Before They Die" (University of Nebraska Press), which I reviewed here. There might be a better prize announced this summer. 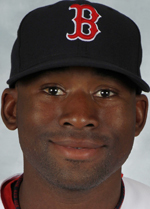 Jackie Bradley, Jr., the top story of spring training with an electrifying .419/.507/.613 batting line, has been placed on the 25-man roster and will make his major league debut on Opening Day tomorrow at Yankee Stadium III. "Bradley, 22, has been a tour de force this spring, and the hype would lead you believe that he's a slam dunk to be enshrined in Cooperstown. While that may not be the case, Bradley is an outstanding prospect that profiles as a long-term everyday center fielder for a first division club, and possibly an occasional All-Star. On offense, he has an advanced approach, plus bat speed, a smooth swing plane, slightly below-average power, and slightly above-average speed. He still has some areas to develop, but at this stage he looks like a player who could hit .290 with 12-15 home runs and 15 stolen bases per year. He's also quite polished defensively, projecting as a plus-to-elite center fielder. Bradley has strong instincts, makes excellent jumps, has a plus arm, and above-average range. 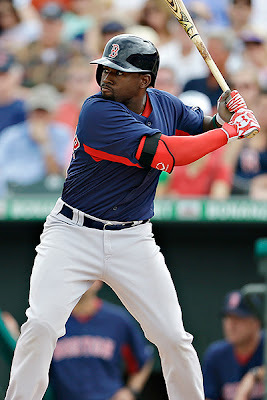 Ultimately, he should be a permanent fixture in the Red Sox outfield over the long-haul, even if he bounces back-and-forth between Boston and Pawtucket in 2013." More good news: GM Ben Cherington says in terms of total talent in the minor leagues, the Red Sox farm system is "as deep as it's been since I've been involved, going back to 2002, 2003 when I first got started in player development". Alex Speier's "Jacoby Ellsbury And The Gap Between Perception and Reality" examines how the media's portrayal of Ellsbury as a soft player stands up to the truth demonstrated throughout his career. Gordon Edes offers some tidbits from the 2013 Red Sox media guide including this one: "With John Farrell as manager in 2011, the Blue Jays were undefeated in 11 extra-inning games at home. The Jays were the first team since 1901 to win at least 10 extra-inning games at home without a loss." ESPN's 43 prognosticators have posted their predictions (divisions and awards) for the 2013 season. Looking at ESPN's AL East preview, there is some good news and some bad news. The good news is that the Yankees are picked to finish fourth. The bad news? Boston is fifth. 93 wins if ... New manager John Farrell mends clubhouse relations, a revitalized Jon Lester and a revamped pen (Joel Hanrahan and Koji Uehara averaged 10-plus K/9 in 2012) form the pitching core, and Will Middlebrooks' bat provides pop. 79 wins if ... The changes aren't enough, Mike Napoli's injury woes continue, Shane Victorino's .245 BA in L.A. doesn't improve, and Ryan Dempster doesn't enjoy the AL East. Unpredictability score -- 1.49: Boston did a mini-rebuilding job in hopes of competing again in 2013, but pitching was the big problem. If Lester and Clay Buchholz don't return to form at the top of the rotation, the winter additions will have been for naught. Fifteen different teams got votes. ... You know this is shaping up to be an all-time crazy season when the Red Sox get zero votes and the Yankees only get one. I remind you we've never had a season in the wild-card era where both of those teams missed the postseason. Obviously, people across the sport now believe that's more than just possible. It's likely. I am not much of a fan of "Things To Do Before Before You Die" lists or books, but I do like the opportunity to find out about some overlooked baseball books. 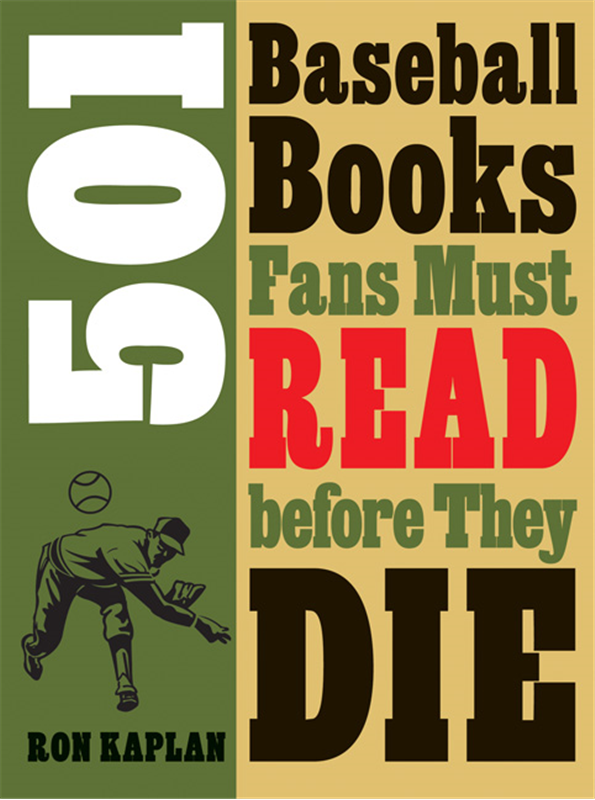 And even the most well-read fan will find plenty of future reading material in Ron Kaplan's first book, "501 Baseball Books Fans Must Read Before They Die" (University of Nebraska Press; PDF excerpt here). Kaplan does not claim that these are the best 501 baseball books: "That's too subjective." It's also a bit of a cop-out. I'm assuming that Kaplan's Top 25 Baseball Books are mentioned here, so why not also include a list of books that every well-rounded baseball library should have? Actually, Kaplan may have secretly included such a list. For some entries, he mentions other books by the same author or mentions other categories under which the book could be placed. One category - "Classic" - is not among the book's fifteen categories. Perhaps an early draft of this book had a Classics section. Kaplan's various categories include Analysis, Business, Fiction, International, Minor Leagues, For Young Readers, and the catch-all category of Pop Culture. He writes 3-4 short paragraphs about each book - some more famous titles receive an entire page - describing its contents and offering a critical eye towards its contents. He doesn't praise every book he has included; he finds fault, for example, with some of the author's opinions on assimilation in a biography of Chief Bender. There is some blurring of the lines between categories. Baseball Prospectus' Baseball Between The Numbers is included in Statistics, but it could just as easily fall under "Analysis". (I like that Bill James's books can be found under Analysis, History, and Reference but not Statistics.) And then there are books that seem to be in the wrong section: Should Bob Costas's Fair Game (which Kaplan actually describes as "mostly a rant") belong in Analysis? Kaplan chooses from a century of fiction, from Ring Lardner to Chad Harbach (whose The Art Of Fielding I reviewed here). Kaplan includes the obvious choices - Philip Roth, Bernard Malamud, Robert Coover, Mark Harris - but also includes a few books that are new to me and seem worth checking out, including Michael Bishop's Brittle Innings and Lane Strauss's Extra Innings: A Story For The Aged (about a game between Detroit and Cleveland that has been going on since 1947!). Kaplan also reminded me to pull two unread books off my shelves: Darryl Brock's If I Never Get Back (a man is transported back to 1869, when the Reds became baseball's first professional team) and Thomas Dyja's Play For A Kingdom (set during the US Civil War). And he shines a light on an overlooked gem in my collection: Baseball Diamonds: Tales, Traces, Visions, And Voodoo From A Native American Rite, a collection of fiction, essays, poems edited by Kevin Kerrane and Richard Grossinger. Female authors seem under-represented in Kaplan's collection, but that may simply be because a small percentage of published baseball books are written by women. Kaplan mentions Alison Gordon's Foul Balls, about the hostility she faced as a reporter in the early 1980s, Jane Leavy's The Last Boy (Mickey Mantle), and Cait Murphy's Crazy '08. Kaplan also cites two books that attempt to explain the game to women, and he clearly understands the problems with such books: "I think I would almost be insulted by a book that would try to explain the game based on my demographic (unless I was a child, perhaps). On the other hand, I'm all for anything that brings more fans to the baseball table." However, it's questionable whether a light-hearted book that includes what Kaplan describes as "a few sections that seem to appeal mostly to pre-feminist women" (shopping sprees and calorie counting at the ball park) will create any long-time or serious fans. Even in a list of 500+ books, readers will note some surprising omissions. I have two: Field of Schemes: How The Great Stadium Swindle Turns Public Money Into Private Profit, by Joanna Cagan and Neil deMause, belongs in the Business chapter, and former professional umpire Pamela Postema's You've Got To Have Balls To Make It In This League should have been among the Umpiring/Rules selections. (Note: Postema is mentioned (though her book is not) in the description of Breaking Into Baseball: Women And The National Pastime, by Jean Hastings Ardell.) I was also surprised to find only four books listed under Minor Leagues. Does Kaplan expect us to read all of the books he mentions? If you sat down and read one book every two weeks, you'd need close to 20 years to get through the list. (And at the end, there would be a reasonably short list of newer books published during those two decades!) Instead of considering Kaplan's list as a job, consider it a generous, well-researched, and entertaining list of suggestions of what to read next. The [rotation's] success or failure, honestly, is going rest on two men, Jon Lester and Clay Buchholz, pitching like the last two years never happened. If they pitch like it's 2010 all over again -- and about ten other things break right -- then Boston's got an outside shot at a Wild Card. The Red Sox changed more than faces, although they did change faces, adding Ryan Dempster, Jonny Gomes, Shane Victorino, David Ross, Mike Napoli and Joel Hanrahan. If Jon Lester, Clay Buchholz and John Lackey have solid seasons, the Red Sox are confident they'll be poised for a September run. The Red Sox are a completely different team, with a better clubhouse and a better manager. If Lackey and Lester have big seasons and David Ortiz stays healthy, Boston is good enough to make the postseason. It looks like Justice picks the division: Jays, Rays, Red Sox/Orioles, Yankees. If there was anything positive to take away from last season for now second-year general manager Ben Cherington, it was that it once and for all showed everyone that his club needed to go in a new direction, after a major roster overhaul which was helped by the Dodgers, who traded for the mammoth contracts of Josh Beckett, Carl Crawford and Adrian Gonzalez late last August. A return to the playoffs wouldn't be entirely shocking, but more likely is that 2013 will be a season for the Red Sox to firmly establish that they are back on the right long-term track, even if they end up home for their fourth straight October. Buster Olney, ESPN: Orioles, Rays, Red Sox, Blue Jays, Yankees. It was probably the worst kept secret in camp. Manager John Farrell announced today that Jon Lester will start on Opening Day next Monday afternoon against CC Sabathia and the New York Yankees. Lester gets his final tune-up before the season begins today against the Marlins. Clay Buchholz and Ryan Dempster will start the other two games in the Bronx. After that, it's on to Toronto, where Felix Doubront and John Lackey will pitch the first two games against the Blue Jays. Ryan Lavarnway was optioned to Pawtucket. ... Shane Victorino had an MRI on his sore right wrist. ... Lyle Overbay was released. And ... drum roll ... Tim McCarver will retire from the baseball booth after this season. SB Nation: Will This Be The First Time In 20 Years Both The Red Sox And Yankees Miss The Playoffs? Rob Neyer and Grant Bisbee, the two-headed monster that heads SBNation's main baseball page, take a few minutes to discuss the state of the AL East. Which is great, except that they seem to have forgotten to say anything about the Red Sox. Note: Neyer did write earlier in the roundtable that "I think the Yankees will finish third and the Red Sox fourth, with both indeed MIA in October", but he seems to have changed his mind about where the two teams will finish by the end of the discussion. I'm not sure which news item causes more schadenfreude: the Yankees losing Derek Jeter to begin the season or the team adding Vernon Wells to its roster. Opening Day against the Jeter-less (and Granderson-less, Teixeira-less, A-Rod-less) Yankees is one week away. If you would like to join the game threads, the board is here. You can also sponsor a month of ad-free game-threading for $7. There is no pressure, however, and this is not a plea for funds. The board will have no ads regardless. I'll apply any and all donations towards the various months of the season, meaning that none of the $ will line my empty pockets. 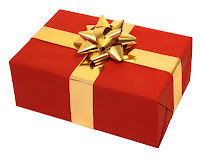 If you have not entered the W-L contest, click here. I hope to offer a super-duper 2004-related prize, but if that doesn't work out, the prize will be a copy of Ron Kaplan's "501 Baseball Books Fans Must Read Before They Die" (University of Nebraska Press), which I will be reviewing soon. John Farrell said today that Jackie Bradley Jr. "could be" ready to play in the major leagues right now. Ben Cherington says "it's hard to ignore what he's done this spring". And he keeps doing it. On Sunday afternoon, Bradley (who turns 23 on April 19) started in left field for the first time since high school. Facing Philadelphia left-hander Cliff Lee in his first at-bat, Bradley socked a three-run homer. Bradley began the day hitting .429/.525/.571; impressively, he has struck out only six times in 59 plate appearances this spring. The obvious decision for the Boston front office is to have Bradley begin the season in Pawtucket and stay there for at least 12 days, allowing the Red Sox to gain an additional year of control over Bradley, making him eligible for free agency at the end of the 2019 season. It's foolish to forfeit a year of Bradley in his prime for whatever value he can give the team in the first nine games of this season. Another possibility is for the Red Sox to have Bradley begin the season in Boston, but option him back to Pawtucket at some point(s) during the year for a total of 20 days. That would also delay his free agency until after 2019. With David Ortiz likely beginning the year on the disabled list, there could be an opening for Bradley in left field if Jonny Gomes becomes the principal DH in Ortiz's absence. (Daniel Nava is another LF option.) How long Ortiz is expected to be out is also a factor in when Bradley joins the Red Sox. Bradley needs regular at-bats wherever he plays, though. Keeping him on the Boston bench for spot starts or in a platoon situation makes little sense. If Cherington et al. believe Bradley is ready for the big time, then tell him to enjoy two weeks prep-time in Pawtucket, have the Red Sox somehow muddle through their games against the Yankees, Blue Jays, and Orioles, and then call Bradley up on April 12. It's a Friday night, and the Red Sox are hosting the Rays. A perfect evening for a debut. Remy: "I Just Don’t Mail Games In"
As I wrote last August, both Remy and Don Orsillo have become parodies of themselves. Remy has been a solid analyst in the past, but it appears as though he no longer has any desire to do so. He has boasted at how little preparation he does before games and his on-air analysis shows that those boasts were not meant as self-deprication. For at least the last two seasons, Remy has done little more than echo Orsillo's play-by-play calls, simply describing what viewers are seeing on replay. (I gave several examples of this in the above link.) It adds absolutely nothing to the broadcast. The issues of cancer and depression are completely irrelevant. What matters is whether Remy is willing to do his job - and I have seen little evidence in recent years of that. We'll find out on April 1 if his work ethic has changed. Jon Lester - dressed in Boston's now-traditional St. Patrick's Day green and white jersey - retired all 18 Tampa Bay hitters he faced on Sunday afternoon. He threw 79 pitches and struck out six Rays. For the spring, Lester has allowed only two runs in 20 innings of work (0.90 ERA). He is in line to open the regular season on Monday, April 1 - two weeks from tomorrow - at Yankee Stadium, but manager John Farrell has not made an official announcement. Boston pitchers came within two outs of throwing a combined perfect game. Jonny Gomes went 3-for-3 and collected four RBI in the Red Sox's 5-1 win. Will Middlebrooks had two doubles and scored two runs. Stephen Drew is still suffering some side effects of his concussion, and there is the possibility that he may not be ready for Opening Day. Drew was struck on the helmet by a pitched ball on March 7. Drew's possible absence raises a few questions about who will start at shortstop (Jose Iglesias?) and - with David Ortiz likely beginning the season on the disabled list - who might be on the Opening Day roster (Jackie Bradley, Jr.?). Clay Buchholz, who has not allowed a run in three spring starts (8.1 innings), faces the Pirates tomorrow. ... Franklin Morales has a slight bulge in one of the discs in his lower back. Farrell said there is "no target date for his return". ... Pitchers Allen Webster and Rubby De La Rosa were optioned to Pawtucket on Friday. After the Red Sox won the 2004 World Series, various items were donated to the National Baseball Hall of Fame: jerseys belonging to David Ortiz and Derek Lowe, the caps of Johnny Damon and Pedro Martinez, spikes worn by Curt Schilling and Keith Foulke, and Orlando Cabrera's glove. However, nothing belonging to Dave Roberts was asked for or donated. Gwen Knapp (Sports on Earth) reports that the spikes Roberts wore when he pinch-ran in Games 4 and 5 of the ALCS against the Yankees - and stole perhaps the most famous base in baseball history - may be on their way to Cooperstown. The steal does not lack for recognition. It never will. Padres prospects want to hear Roberts relive the moment that unraveled Rivera. When Joe Torre saw him years later, before a Dodgers-Giants game, they winked at each other and Torre wagged his index finger at the bandit who cost him a seventh Yankees pennant. "He said 'I remember you,'" Roberts recalled with a little laugh. "Flash's son, Dee, came up to me a few springs ago, and told me: 'Man I never saw my dad as nervous as he was when you were on first base in that Game 5,'" Roberts said. Right now, Opening Day seems like it's not the case. The case is get me healthy for five or five and a half good months. Which means Ortiz could be back in the lineup mid-April or May 1. After David Ortiz had MRIs done on both of his heels, the Red Sox decided to shut the 37-year-old DH down for 5-7 days and let him rest. It is now unlikely that Ortiz will be ready to play by Opening Day. Ortiz tore his right Achilles tendon last July. However, at the moment, the inflammation is worse in his left Achilles. It does reveal some inflammation in the bony area of the heel so he's dealing with that. That's where his discomfort is being felt. And as a result, we're going to shut him down for a few days here to let that quiet down completely before we start to initiate any kind of baseball activities after that. Again, it's separate from any kind of previous issues that he dealt with. It's in the bone/tendon juncture where he's feeling the inflammation and the MRI shows it in that specific area. The regular season begins three weeks from tomorrow. Adam Jones's two-run double in the eighth gave the US its first lead of the game. After Canada closed to within a run in its half of the eighth, Eric Hosmer added some insurance with a three-run double in the ninth. Michael Saunders, who hit .727 in three games (8-for-11), belted a two-run homer in the second inning. Left fielder Adam Loewen - who was Canada's starting pitcher against the US back in the 2006 WBC - drove in the other two runs. Old Hoss Radbourn approved of the final score. Justin Morneau and Michael Saunders each had four hits (including two doubles), three RBI, and two runs scored. Taylor Green chipped in with three hits and three runs. The fights erupted after Canada's Rene Tosoni was hit by a pitch from Arnold Leon with Canada leading 9-3 ... It was a wild scene, as chaotic as any on a major league field in recent years. After the sides were finally separated, a Canadian coach [Denis Boucher] was hit in the face with a water bottle thrown from the stands. Canadian player Cale Iorg threw it angrily back into the crowd. Several police officers came onto the field, and there were skirmishes in the seats. Canada (1-1) plays the United States on Sunday at 4 PM. Chris Leroux (Pirates) will start for Canada. He will be followed out of the bullpen by Andrew Albers (Twins). Marco Estrada (Brewers) gets the ball for Mexico. This is a must-win game for Canada (0-1), who was trounced by Italy yesterday 14-4. Mexico (1-1) lost to Italy 6-5 on Thursday and beat the United States 5-2 last night. Canada loses big in a game stopped with no outs in the bottom of the eighth because of the dreaded Mercy Rule. The first seven Italian hitters had reached safely in the eighth frame; who knows how many runs they might have scored had they been allowed to continue. Canada's manager, Ernie Whitt: "We got our asses kicked today." Canada plays Mexico tomorrow at 2:30 PM. Canada will be without Brett Lawrie (Blue Jays), who strained his left rib cage diving for a ground ball in Wednesday's exhibition game against the Reds. Infielder Taylor Green (Brewers) replaces Lawrie on the roster. The game has been moved from Salt River Fields to Chase Field and its retractable roof because rain is expected. On Thursday afternoon, Italy scored two runs in the top of the ninth and beat Mexico 6-5. Former Red Sox farmhand Anthony Rizzo (Cubs) drove in the two runs with a double off closer Sergio Romo (Giants). (Italy's leadoff hitter, Mr. Nick Punto (Dodgers), started the rally with a one-out double.) Mexico tried to rally in the bottom of the ninth, but left the bases loaded. Ryan Westmoreland has retired from professional baseball at age 22. [ESPNBoston; WEEI; Globe; MLB] GM Ben Cherington offered his comments. ... Ryan Kalish was inspired by Westmoreland's example. David Ortiz said that the slow pace of his recovery "has been driving me crazy. I got no choice but to wait. I hope it goes away soon so I can get back into action. ... I hope I get to the point where I can start playing without pain." Reliever Craig Breslow will likely begin the season on the disabled list. Franklin Morales may join him. OTM's Ben Buchanan wonders what that means for the Opening Day bullpen. Carl Crawford spoke out about his terrible experiences in Boston. Yes, he played poorly, but that doesn't mean his comments about the toxic media environment are off-base (the print media was obsessed with his contract from the very beginning). "They love it when you're miserable. Burying people in the media, they think that makes a person play better. That media was the worst thing I've ever experienced in my life." Canada begins play in the World Baseball Classic on Friday in Phoenix, with a game against Italy. The Canadians will play Mexico on Saturday and Team USA on Sunday. Manager Ernie Whitt has named two pitchers for each game. Shawn Hill (Tigers) will start against Italy, with Scott Mathieson (Yomiuri Giants in 2012) following him out of the bullpen. Chris Leroux (Pirates) will begin the game against Mexico, with Andrew Albers (Twins) first out of the pen. Jameson Taillon (Pirates), drafted No. 2 in 2010 and ranked as the 23rd best prospect in the majors by Baseball America, will start on Sunday against the US. He'll be followed by Mark Hardy (Padres). There is a pitch count limit of 65 in the opening round, and any pitcher who throws more than 50 must have four days rest before he works again. Whitt plans on capping his main hurlers at around 45 pitches. Canada beat the Brewers 7-4 on Tuesday afternoon, and will play the Reds today. The team's lineup is partially set. CF Tyson Gillies (Phillies) will lead off, with DH Joey Votto (Reds) batting third, 1B Justin Morneau (Twins) batting fourth, 3B Brett Lawrie (Blue Jays) batting fifth and RF Michael Saunders (Mariners) batting sixth. It was unclear until this week whether Votto could play, as he is coming back from knee surgery. The backend of Canada's bullpen should be one of its strengths, with Jesse Crain (White Sox) and Jim Henderson (Brewers) setting up for closer John Axford (Milwaukee). Japan has won the first two Classics (2006, 2009) with pitcher Daisuke Matsuzaka being named tournament MVP on both occasions. ... Canada went 0-2 in the 2009 tournament. Ben Buchanan, Over The Monster: How Many Starters Is Enough? Mike Andrews (ESPNBoston) has posted the first of a five-part series on the top players in the farm system. First up, pitchers. Chris Cwik, Fangraphs: RBI, What Is It Good For? Daniel Bard threw a simulated game on Monday and said he felt like "the old me". ... David Ortiz ran the bases and plans on being in the Opening Day lineup. With Opening Day exactly four weeks away, it's time for this year's Red Sox W-L Contest! Correctly guess Boston's 2013 regular season record and win [something, possibly a very cool something]. W-L guesses must be exact. Tiebreakers will be the closest guess, either over or under. If there is still a tie after (A), we'll go to (B). Deadline: Monday, April 1, 12:01 AM. Big News: I signed a book contract this afternoon! I'm writing a book for Triumph, based on an idea that I have been developing for more than a year. For now, all I can say is that it's about October 2004. It will be published next March, in plenty of time to join what I hope will be a season-long celebration of the 10th anniversary of the World Series championship many of us thought we would never see. Working with me on the project is Bill Nowlin, who has written many Red Sox-related books. What does this mean for Joy of Sox? I'm not completely sure. While the blog will be on the back burner, I do hope to post periodically.